Award for the 40th Porsche Tennis Grand Prix: WTA Tour players liked the anniversary year’s event more than any other tournament in the world in 2017. 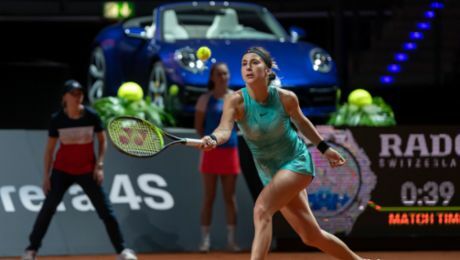 The 2018 Porsche Tennis Grand Prix will take place in Stuttgart’s Porsche Arena from 21 to 29 April. Advance ticket sales are available at Easy Ticket Service – on the phone at +49 711 2555 555 or in internet at www.easyticket.de. Those taking advantage of the special Christmas ticket offer before December 24 will be given a 10 percent discount (with the exception of tickets already reduced in price and ticket packages) and the added extra of free admission to the Porsche Museum.